As October starts, Jupiter is setting not long after the sun. Our evening sky has Saturn in the southern part of Ophiuchus a little past the meridian at sunset. Sagittarius is closer to the meridan, but still past it. A waxing gibbous moon is in Capricornus. And Pegasus is rising. Taurus, with the Hyades and Pleiades, rises in late evening. Orion and Gemini rise around local midnight. Toward dawn, Venus and Mars rise close together. Harder to spot Mercury rises closer to sunrise. It’s heading to superior conjunction on the 8th. Jupiter disappears into the sun’s glare as the month moves on. It’s in conjunction on the 26th. Saturn heads toward the sunset too, but it’s not time yet for the ringed planet to enter conjunction. Venus goes lower in the morning sky for a close call with Mars on the 5th. They’re just 0.2° apart. Mars keeps going lower too, but Venus passes the red planet and keeps going. A thin, waning, crescent moon passes them on the 17th. The month ends with Venus deep in Virgo. Moon phases this month: Full on the 5th, first quarter on the 12th, new on the 19th, and first quarter on the 27th. The moon is on the equator going north on the 5th, at northern lunistice on the 11th, going the other way across the equator on the 18th, and farthest south on the 25th. Lunar perigee is on the 9th and apogee on the 25th. While Venus and Mars appear close together in our morning sky, let’s think beyond the limits of our visual perspective and consider the geometry of the solar system. Venus is at perihelion on the 3rd. It’s 0.718 astronomical units from the sun when it’s closest in its orbit. Mars goes through aphelion on the 7th. Its orbit varies much more than that of Venus. The red planet is 1.666 astronomical units away from the sun at its farthest this time. And then Mercury is at aphelion on the 29th. Its distance is 0.467 astronomical units from the sun. 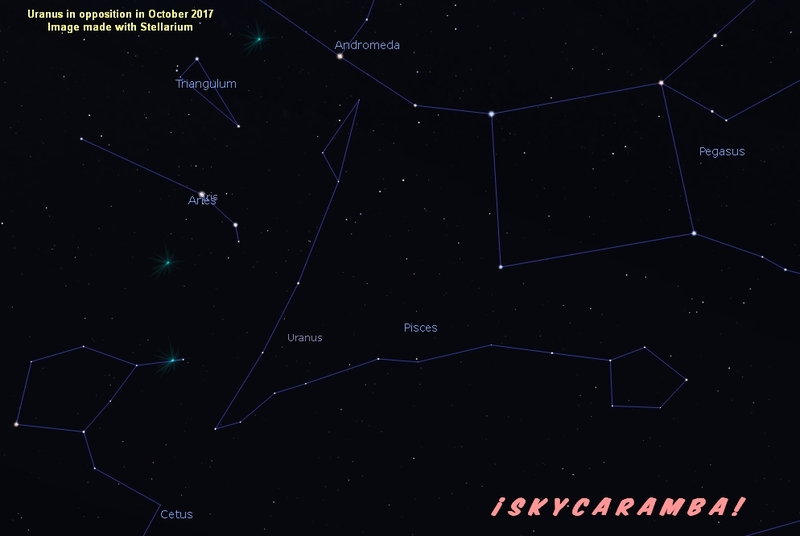 Uranus is at opposition on the 19th. Look for this pale dot in Pisces. It’s 18.9 a.u. from the sun. 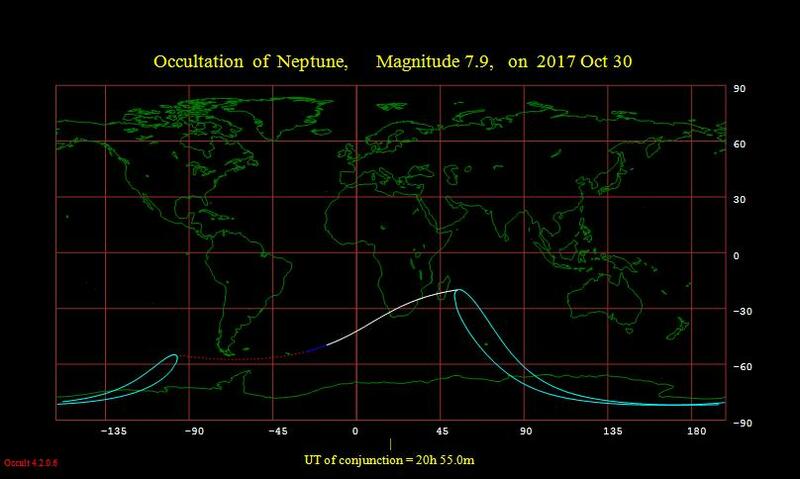 New Zealand, Tasmania, and much of Antarctica see an occultation of Neptune on the 3rd. 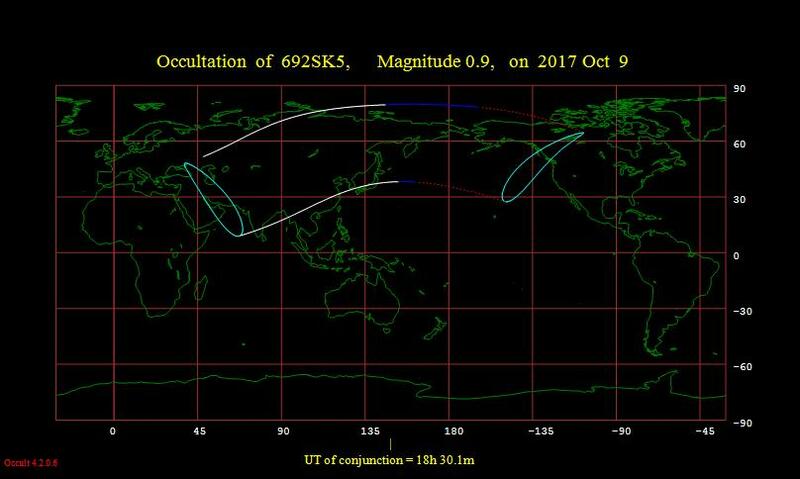 Much of Asia will see the moon pass in front of Aldebaran on the 9th. 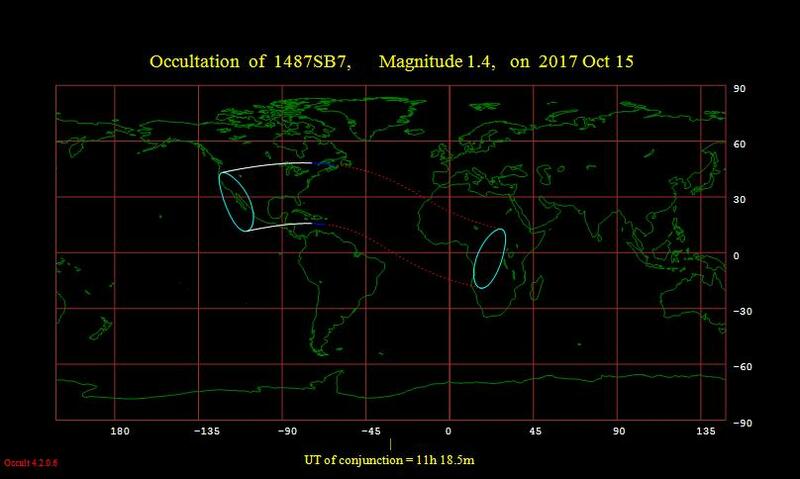 On the 15th, most of the continental U.S., Mexico, and Cuba get an occultation of Regulus. 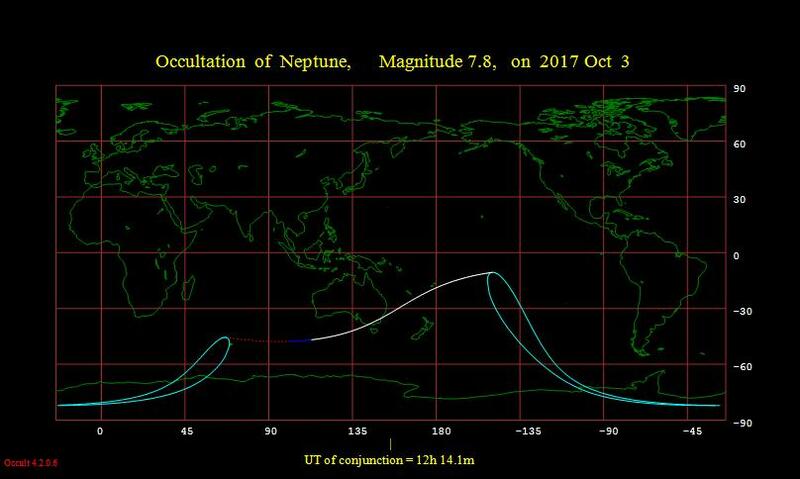 Neptune is occulted again on the 30th for the far southern tip of Africa, the ocean south of it, and part of Antarctica. Viewing should be good for the Orionid meteors this year. At their peak on the 21st, the moon is a thin crescent rising long after midnight. And Orion is up nearly all night.